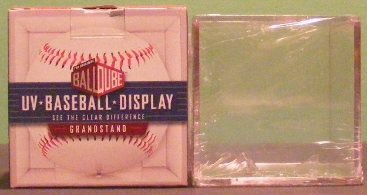 The BallQube grand stand baseball holder is made in the USA. Features a 2-piece design with built in stand and includes a 98% effective UV coating. Discounts are: 6-35 qubes @ $2.30 ea. / 36+ qubes @ $2.10 ea.